Directions for students: you will analyze and evaluate pieces of each novel and/or story we have focused on this school year. Take a close look at the direction/outline page for specific requirements and details. 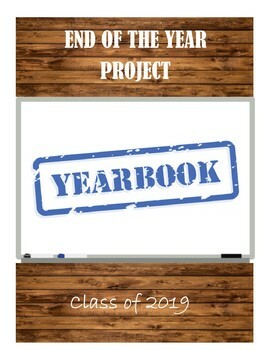 You will need to have read any novels, short stories, or other English works with your students in order for them to be able to complete this project. 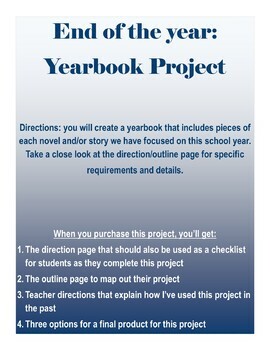 If you only read 1-2 novels/stories/works, this project is not for your class. The more students read, the more they'll have to use for this project.